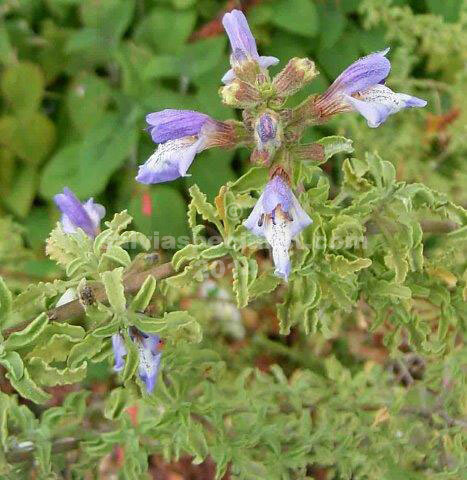 Dentata is a South African salvia with small crinkled greyish leaves. It is very drought hardy. It requires good drainage. The lavender flowers are in pink calyces which inflate after the flowers fall thus continuing the colour.